Children learn the basics of swimming at the Y or enhance their skills with our progressive lessons that turn beginners into experts, polliwogs into sharks. And our kids are having fun, being healthy, learning safety and building confidence all at the same time. 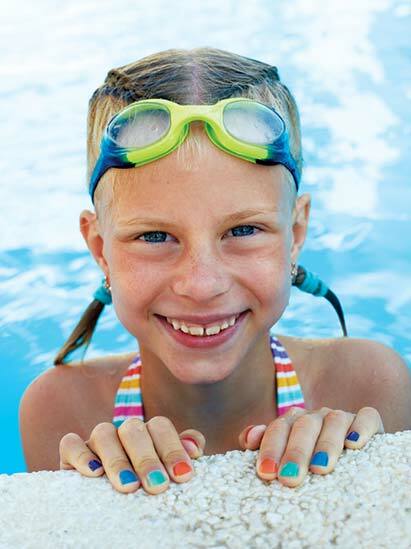 A great way to splash into water safety for the summer. If you know how to stay safe in and around water, swimming can be a lifelong source of fun and exercise. Instead of keeping your children away from water, help them learn fundamental water safety skills by enrolling them in lessons. These classes can provide them a new, exciting way to keep active and meet new friends. This one week class is designed to remind swimmers 6 on up, how to be safe in and around water. This is 5 hours packed full of fun and learning. Only this week of lessons has buses running from all Noble County school districts and the Prairie Heights school area, to help get the children to YMCA. $10 for the week. Swimmers can register for whatever time they would like as long as they have a ride. Please use the registration form for the time slot you would like, if mailing in your registration. Buses from West Noble & East Noble only this week. Register on-line beginning May 1, 2019. 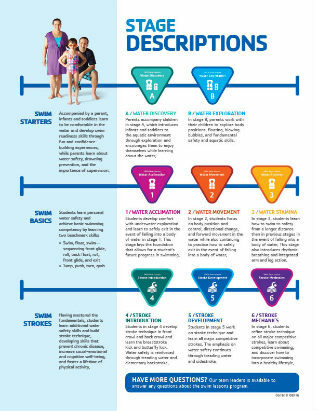 Lessons designed to increase confidence and safety in the water no matter what stage or age a swimmer is. To ensure the swimmers safety and the quality of swim lessons, any new swimmer 3 years or older should take a swim assessment with one of our instructors. Also, any swimmer that has not been to swim lessons for more than 8 weeks and does not have a signed stage form should take a swim assessment. Swim assessments are available during the 2 weeks of sign up before each session. Cost: $15 YMCA member /$45 Community Member. Click here for full description of each stage. This class is a great way to learn to dive or to improve your diving skills. This class is open to anyone that can swim a 50 of the pool and is looking to dive (especially for the middle school and high school team). Seth and Bryce Cox will be instructing this class. Watch for times and dates Spring/Summer of 2019. These classes will run April 6 to May 4, 2019. Classes are limited to 10 participants. During Competitive Stroke the swim team coach(es) will work with the swimmers to perfect strokes, and help eliminate disqualifications during meets. 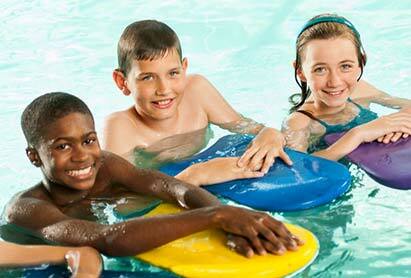 Participants should be 5 to 18 years old, and be able to swim the length of the pool twice. During this class swim team members will work on learning to do starts and turns. This class is lead by the swim team coach(es). This will help improve the starts and turns of the novice to the experienced. Participants should be 5 to 18 years old, and be able to swim the length of the pool twice. Registration opening in April, in person, or on-line. Through practice and competition, swimmers of all ages can improve swimming skills while building friendships and healthy habits that last a lifetime. A variety of competitive experiences are available to challenge novice and experienced swimmers alike. Swimmers compete at local, state, zone, and national level meets. The Bluefins' team goal is to help each swimmer be the best they can be while having fun. Regular Season May 13 - Mid July. Check out the Bluefins Facebook page here.